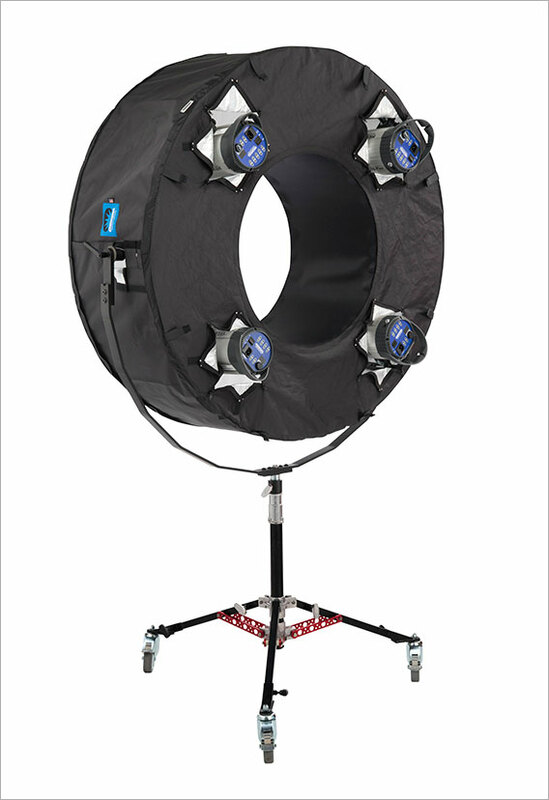 Shoot The Centerfold and Chimera, the premiere innovator of light modifiers, is introducing a new 48” ring light. 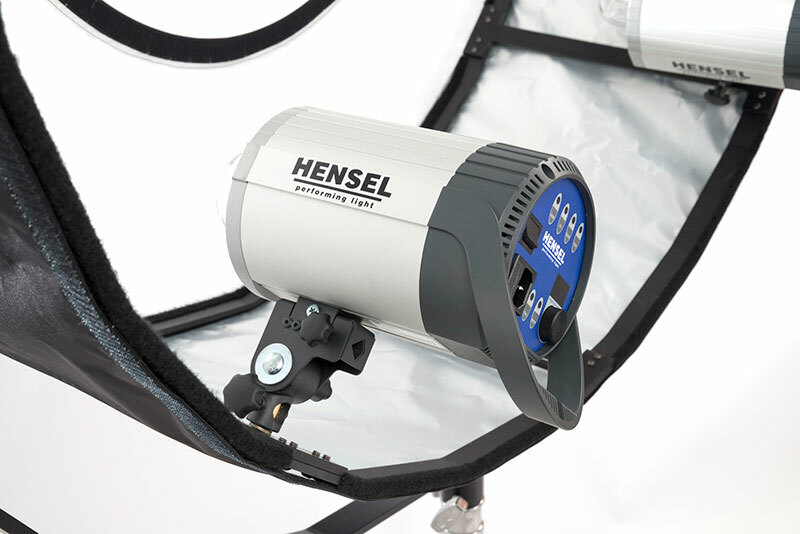 Along with the larger size, this unit is very versatile in how the light is distributed within the unit and on your subjects. 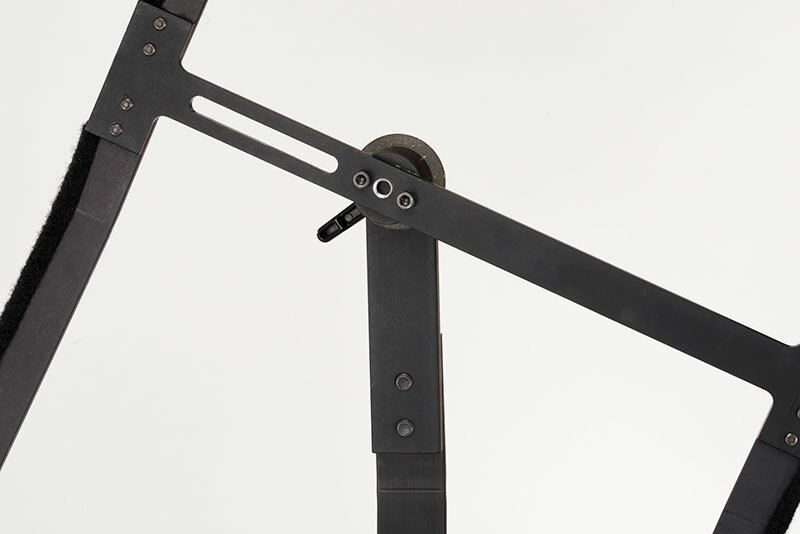 Inspired by international master of lighting Jarmo Pohjaniemi, the revolutionary RingMaxx brings unique flexibility for image makers plus an incomparable quality of light. It’s the ultimate beauty light! 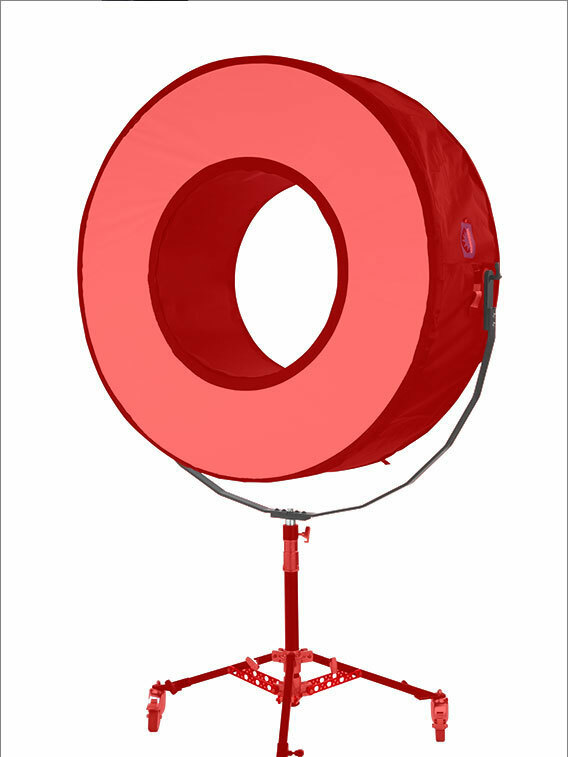 You will experience coverage over five times that of a standard ring light. Light can be controlled for extreme precision and detail by altering power settings on each light and adjusting 4 independent and controllable chambers. RingMAXX for photography allows you to open an entire new world of lighting from portraits to beauty to glamour and fashion with one single light modifier. A RingMAXX equipped with strobe heads will offer you directional and non-directional (4 axis) lighting scenarios which is the strength and the magic that separates RingMAXX from all the others. 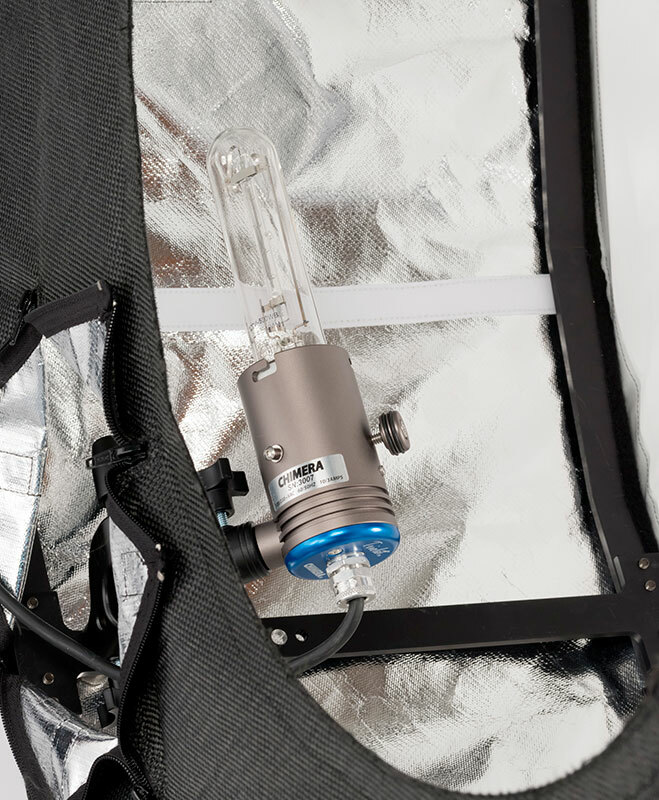 RingMAXX high-heat version is manufactured from the finest materials to withstand extreme heat generated from constant HMI lights or those as recommended: Chimera Triolet 500 or 1000 watt bulbs or your 200 watt HMI of choice for continuous daylight shooting. RingMAXX finds itself home to video commercials, music videos and movie sets. 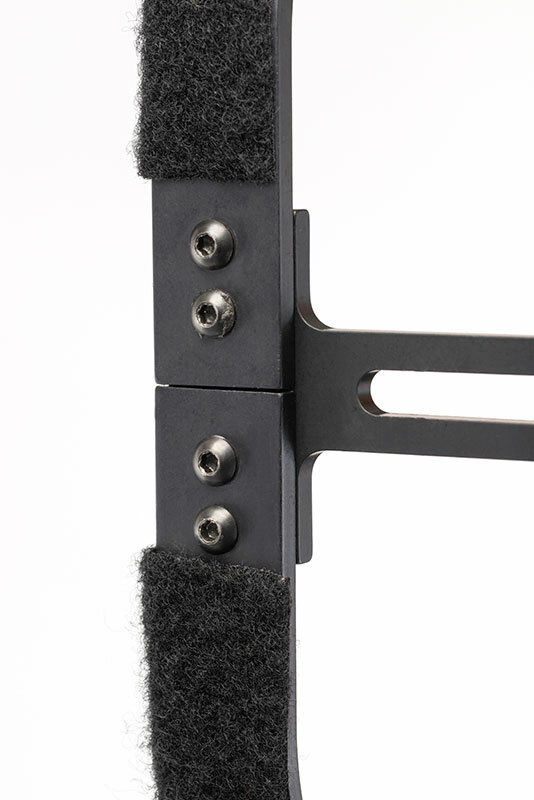 RingMAXX can be supported by using two C-stands with one on each side. 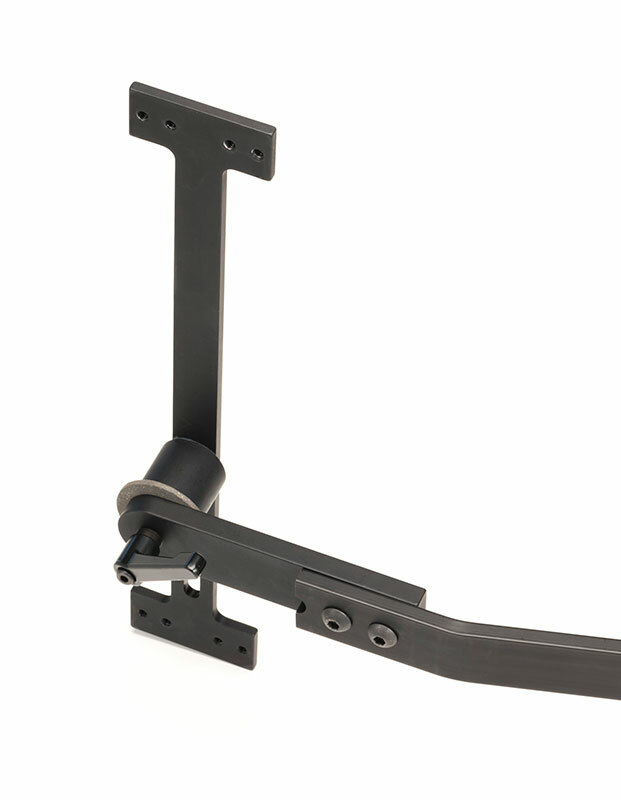 For ultimate maneuverability, the yoke stand as seen in this image offers the most freedom while re-positioning. Panning, L & R, tilt up or down, roll it on a smooth surface to your desired location at ease. Any low-rolling stand with wheels will get the job done. 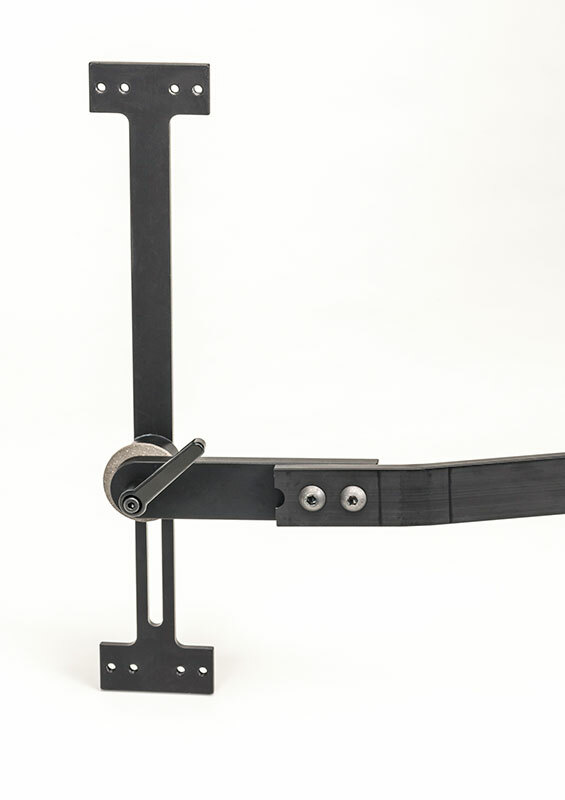 The mobile JR Stand as seen above is one of the recommended mini stands for RingMAXX. 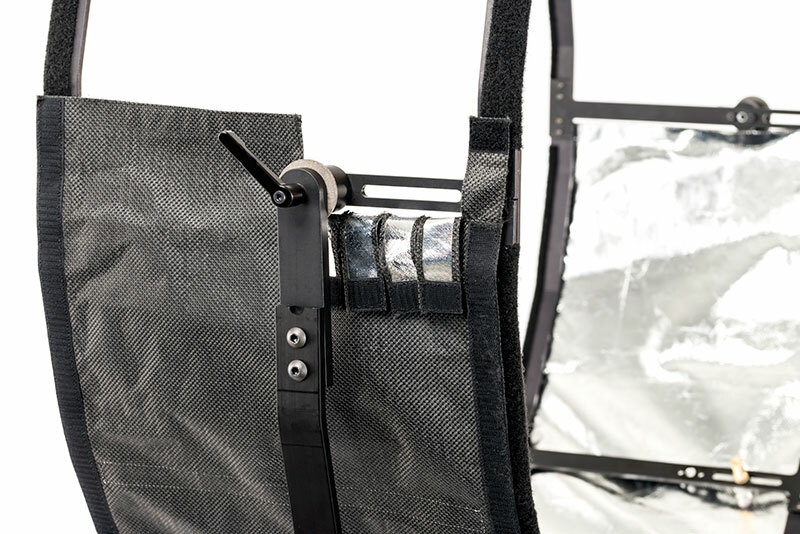 The rear of the RingMAXX has zippered openings allowing an ideal fit for a variety of lights that attach your strobe or continuous lights to the RingMAXX’s internal frame using “Baby Pins” that are included with your RingMAXX purchase. 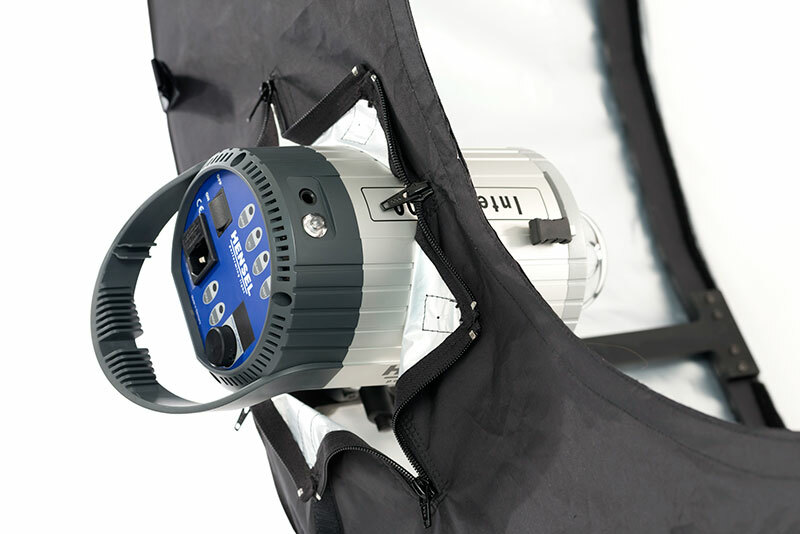 We recommend the Chimera Triolet with 500 or 1000 watt bulbs or your 200 watt HMI of choice for continuous daylight shooting. The non-directional RingMAXX setting was used to create the classic Hollywood lightning style. See samples of the variety RingMAXX provides including fashion, glamour and commercial looks. With one light modifier comes many. Imagine photographing portraits, beauty, glamour or fashion and never needing to build lighting setups with numerous lighting modifiers and stands. All of this is now available to you in a single light modifier. Just add a model and create magic. With a quick strobe and power adjustments, RingMAXX gives you and endless choices and lighting variety unlike any other lighting modifier ever made. In the sample above, you see five different lighting styles created by adjusting the direction of the light by taking advantage of RingMAXX’s lighting-flood compartments. Start with a classic Rembrandt lighting style and adjust your light and strobes accordingly based on your desired taste. Add a bottom beauty glow or a side fill to create cosmetic campaigns at ease without ever moving the RingMAXX or your model. Let the light move for you. RingMAXX gives you the ultimate flexibility of many lights in one. RingMAXX is not just a ring light. RingMAXX is more like multiple light modifiers in one that give you, the photographer, an ability to modify the direction of light and its effectiveness and quality by dialing your strobes up or down in power in 4 axes. RingMAXX gives you the ultimate beauty light as seen in cosmetic campaigns. Choose soft, harsh or subtle light and shadows that emphasize the desired look or personality of your subject. One of the most challenging aspects in photography and lighting is the complexity of perfection. RingMAXX was designed to eliminate unnecessary effort by a master photographer Jarmo Pohjaniemi whose beauty work includes some of the most prestigious body of lighting performance and execution. “Why build lavish lighting setups with multiple light sources when you can have it all in one?” says Jarmo Pohjaniemi. RingMAXX is a large size light modifier but very small and compact when compared to other multi lighting setups while trying to achieve same results without RingMAXX. No other light modifier has ever offered such variety of lighting styles in a single lighting modifier. 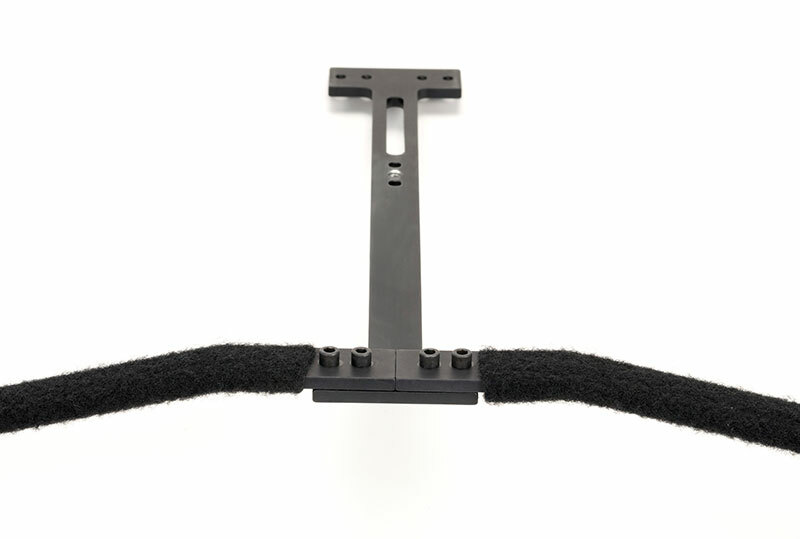 The RingMAXX has an optional custom designed yoke for optimal support. The yoke combined with the Mobile JR Stand will give you the standard height for your work environment. 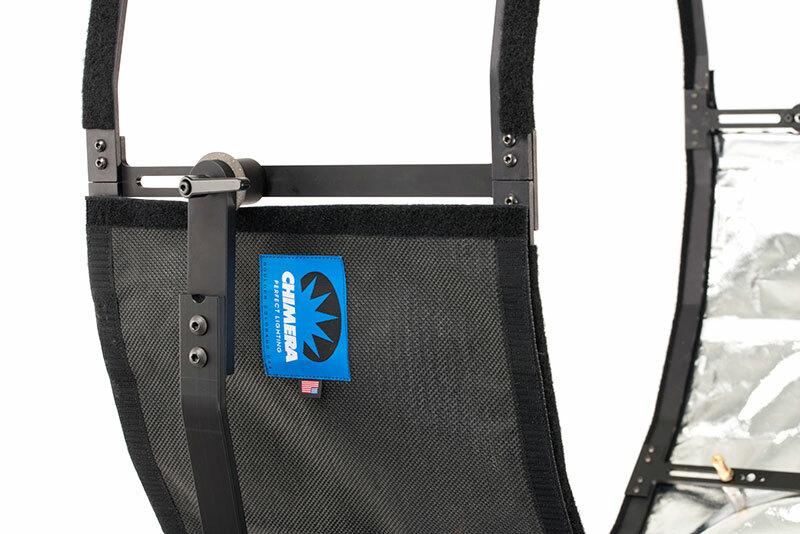 The rear of the RingMAXX has zippered openings allowing an ideal fit for a variety of lights. 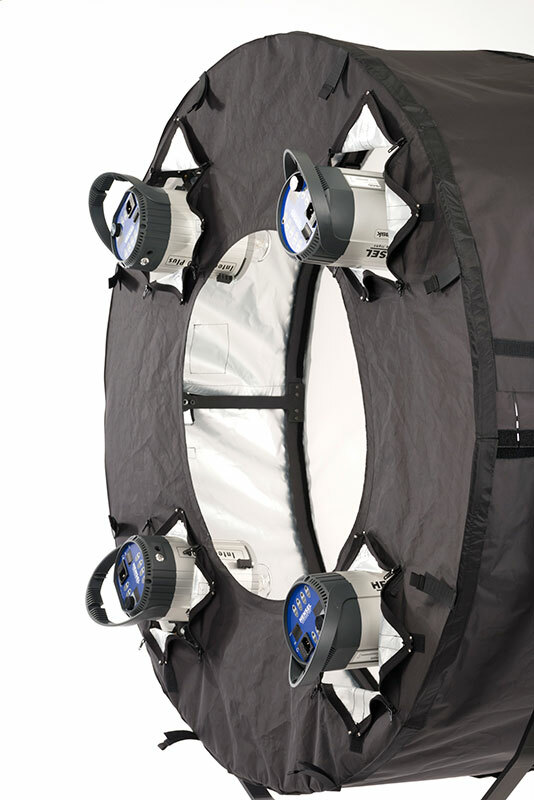 We recommend the Chimera Triolet with 500 or 1000 watt bulbs or your 200 watt HMI of choice for daylight shooting. 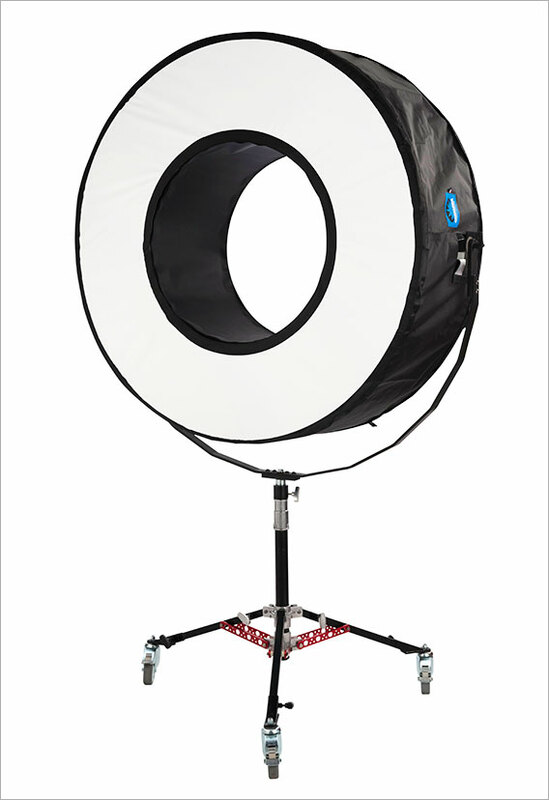 The RingMAXX can be used in high end portrait/fashion studios and on sets for beauty commercials or can be used as a large light source for glamour, fashion or where large light-sources might be needed. 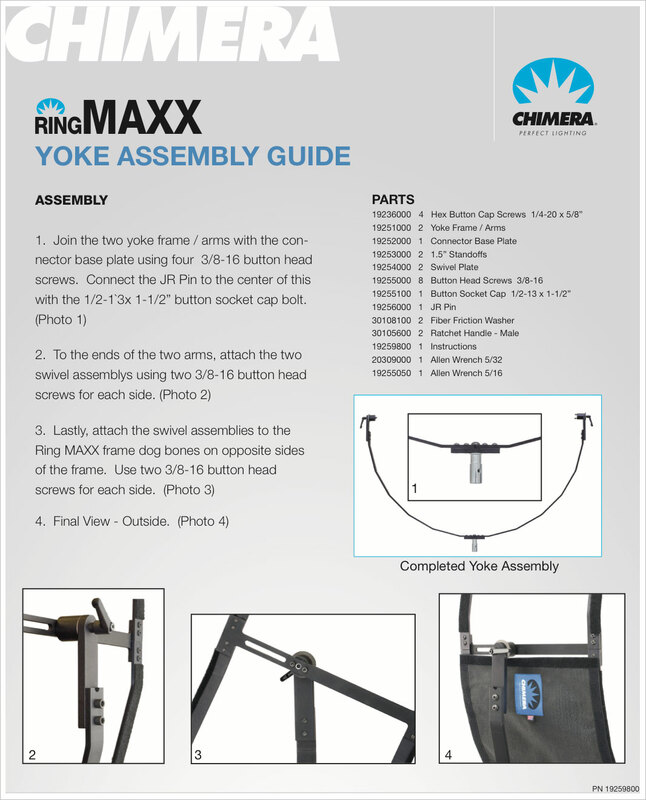 The RingMAXX has an optional custom designed yoke for optimal support or two c-stands can be used. 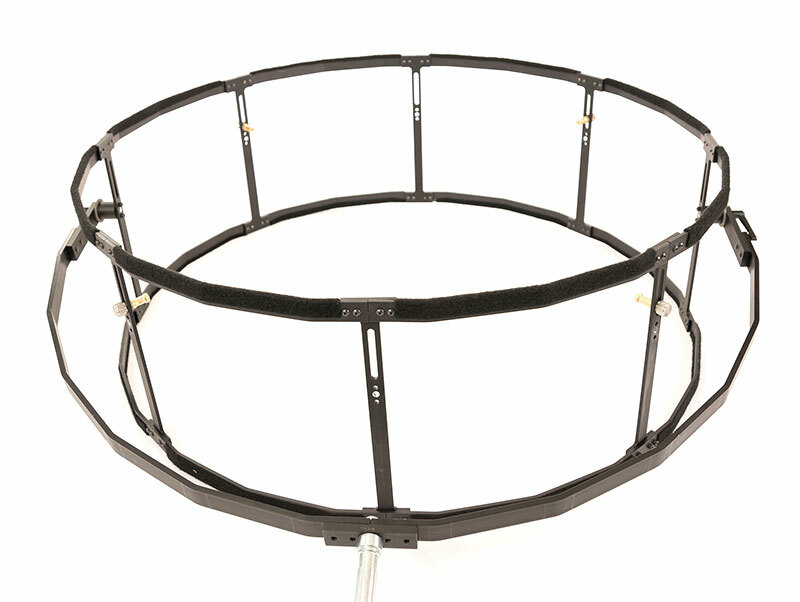 The rear of the RingMAXX has zippered openings allowing an ideal fit for a variety of lights. Attach your strobe or continuous lights to the RingMAXX’s internal frame using “Baby Pins” that are included with your RingMAXX purchase. 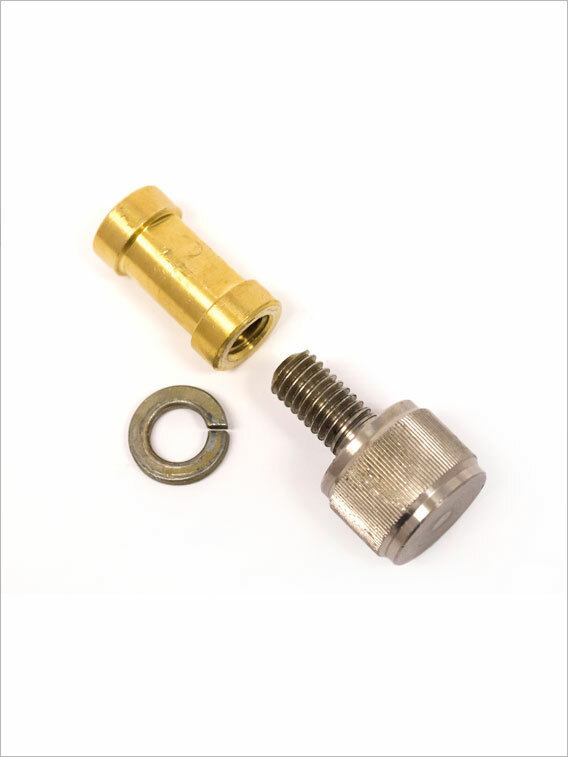 Baby Pins are standard size mounts used in the industry to fit professional lighting equipment and strobes. RingMAXX can also be used with two C-Stands, one on each side instead of the yoke which is highly recommended for easy maneuverability. 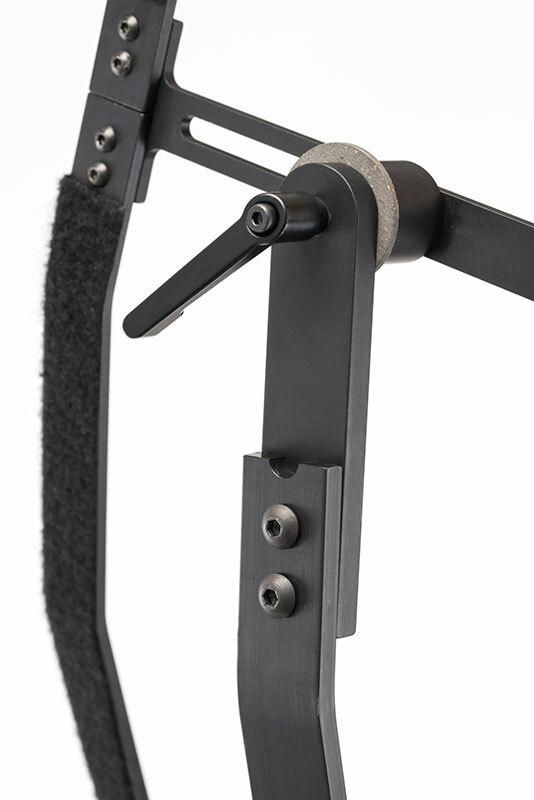 For C-Stand usage, use two C-Stand spuds to mount the RingMAXX on two C-Stand knuckles. When purchasing a yoke stand, you will receive a “JR stand spud” that mounts to the bottom of the Yoke stand as seen in this sample image. Here is an easy to follow visual image gallery for photographers and videographers who mostly rely on visual guidance instead of written text. Click the thumbnails to enlarge the images which correspond to your RingMAXX purchase and its components. At first it may feel a little overwhelming since RingMAXX breaks into several smaller parts. You will find the assembly quite easy after a few rounds of practice. Here’s a tip when transporting RingMAXX. It fits perfectly in the back of an SUV when broken into two half-moon parts. 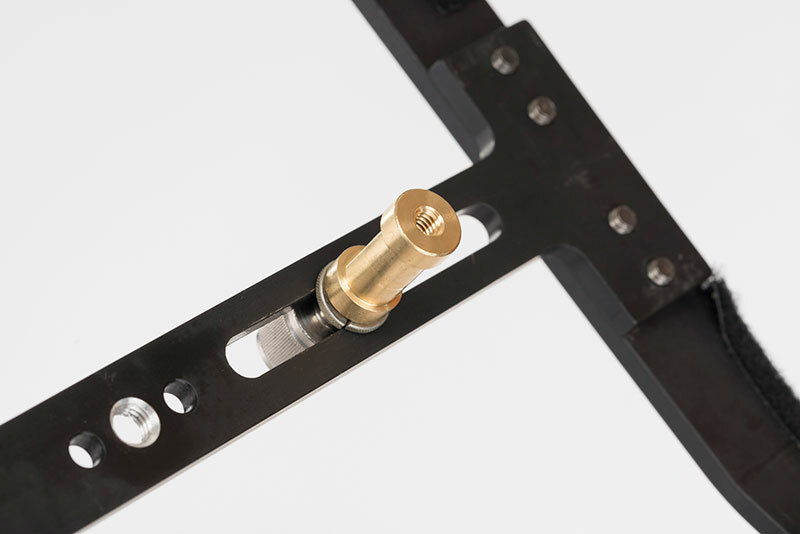 We have learned that it is not always necessary to take all of the components apart which makes the assembly at your next shooting location much easier and faster. 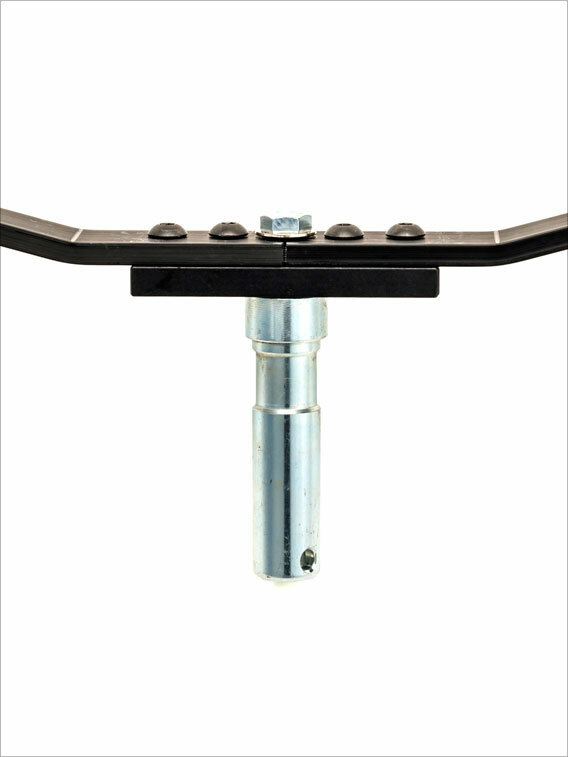 The RingMAXX has an optional custom designed yoke for optimal support or two c-stands can be used. 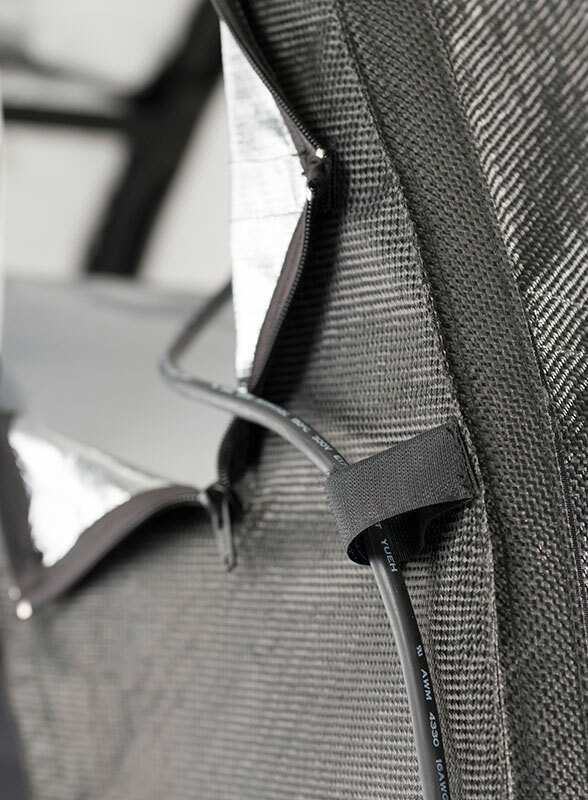 The rear of the RingMAXX has zippered openings allowing an ideal fit for a variety of lights. 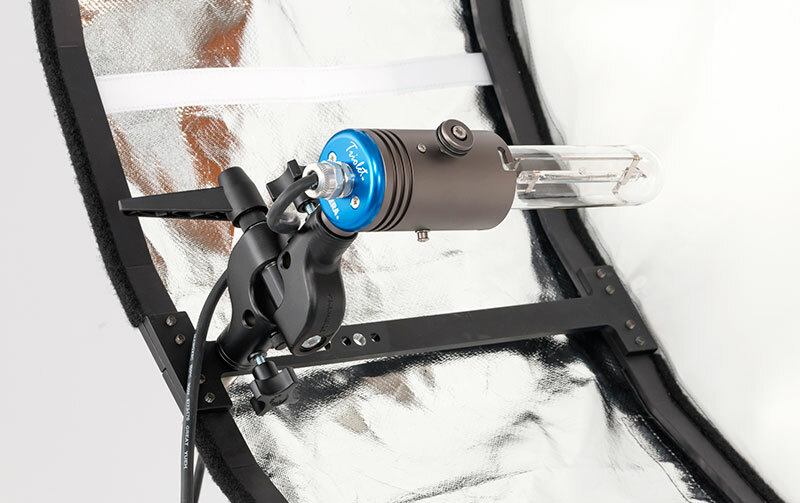 We recommend the Chimera Triolet with 500 or 1000 watt bulbs or your 200 watt HMI of choice for continuous daylight shooting. 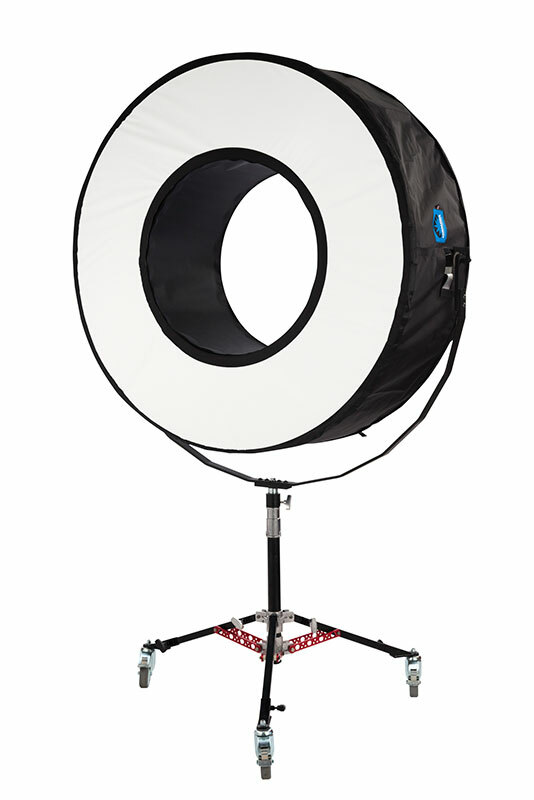 The RingMAXX will find usage in high-end portrait/fashion studios and on sets for beauty commercials or can be used as a large light source for glamour, fashion or where ever large light-sources might be needed. 1. Will the continuous light version of RingMAXX fit strobes as well? Yes! The only difference is the material. 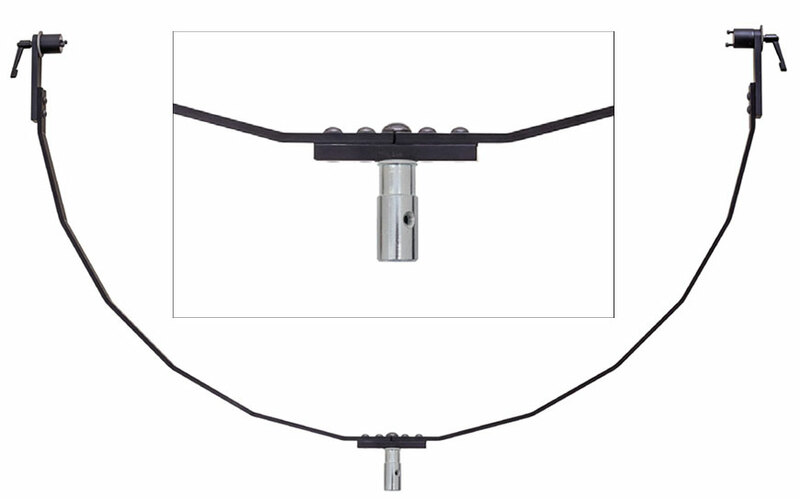 The continuous light version is designed to withstand higher temperatures but will work perfectly with strobes as well. However, you should not use hot lights with the strobe version as that could cause a hazardous situation. 2. I have Elinchrom strobes (ELC and BXRI) and I plan on getting some Arri HMI units, probably L7s, but I am not sure yet. Are there any adjustments I need to make to the RingMAXX so I can use these Elinchrom and Arri units? 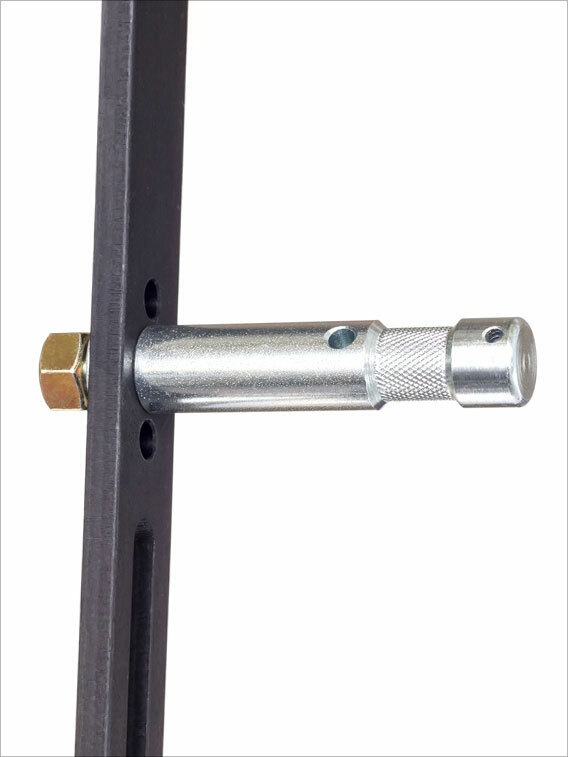 The mounting system is adjustable and fits most lights that are designed to fit on a standard 5/8” light stand. It should fit most lights that are 14” tall or less. The L7 (which is an LED, not an HMI) might be a little too large. However, a Fresnel is probably not the best light to use in the RingMAXX, for reasons explained in the answer to question #3. 3. I cannot figure from the information that was published, if the light is hitting the fabric directly, or is it hitting some reflector for an even spread inside the ring. The reason I am asking is to understand how the light will distribute inside the ring if I only use 2 units or even 1 unit. The light from each fixture illuminates the screen directly; there is no internal baffle needed. The RingMAXX is designed to work with 4 light heads but can be operated with an uneven lighting pattern as well. RingMAXX is designed to work with 4 independent light heads that can be individually adjusted for your desired look (usage of a minimum of two lights is recommended for sufficient non-directional lighting effects). The best lights to use with RingMAXX (and this is true for all softboxes) are lights with a wide light-spread angle allowing the light to fill the separated light compartment’s evenly. Fresnels have fairly narrow light-spread angle and could result in a “hot spot” on the diffusion screen. The RingMAXX does come with internal dividers (flood gates) that contain the light in each of the four sections for ultimate light control for directional and non-directional lighting styles. 4. I cannot find enough photos that illustrate RingMAXX’s lighting variety and qualities. I have seen a few behind the scenes videos where eight light units were attached to RingMAXX, instead of four which you advertise. When it comes to light quality, RingMAXX offers superior lighting choices from hard-light to soft lighting situations that no other ring light is capable of producing. 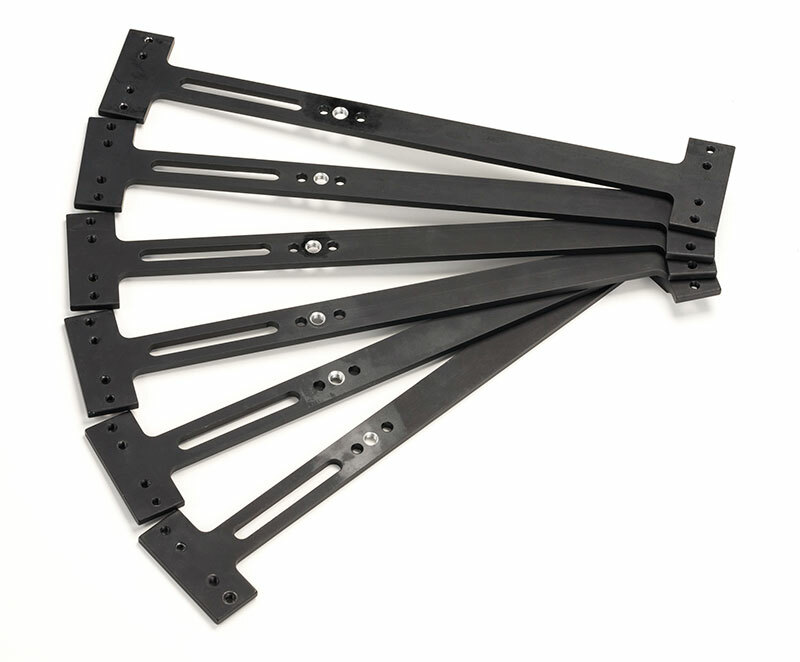 The removable front diffuser of allows you to create harsh lighting situations for today’s fashion looks to soft portraits or any lighting scenarios imaginable by adding the diffuser. The RingMAXX prototype originally used eight lights. After extensive testing we came to the conclusion that only four lights were needed for the ultimate RingMAXX performance, allowing the desired non-directional lighting results where RingMAXX’s magic comes alive. 5. How do I know if RingMAXX is the right product for me? Are there rental houses so I can demo RingMAXX first before committing to the purchase? Should you have any additional questions, send us an email or call 305 510 3938.